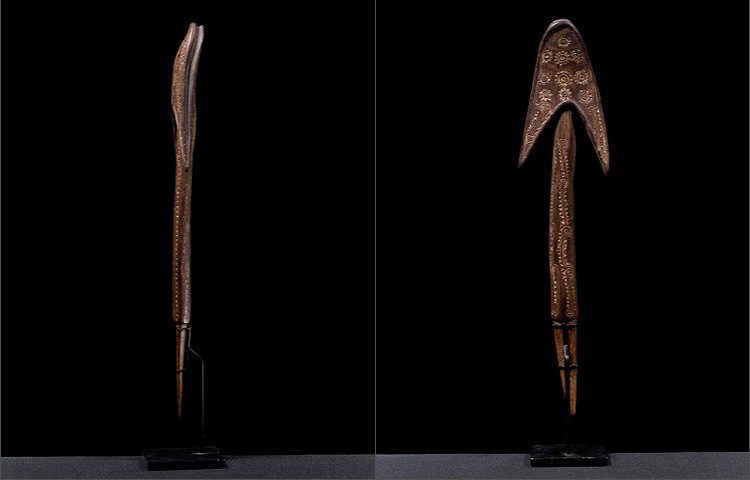 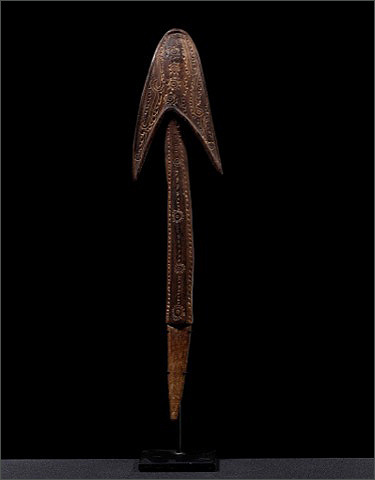 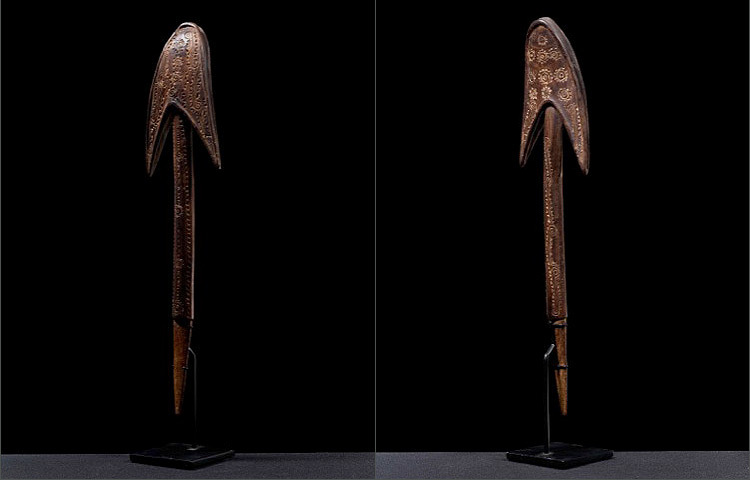 This very fine and old spatula’s downward-pointing hook shape is referred to as wangi nuwa, or open-bird mouth style. 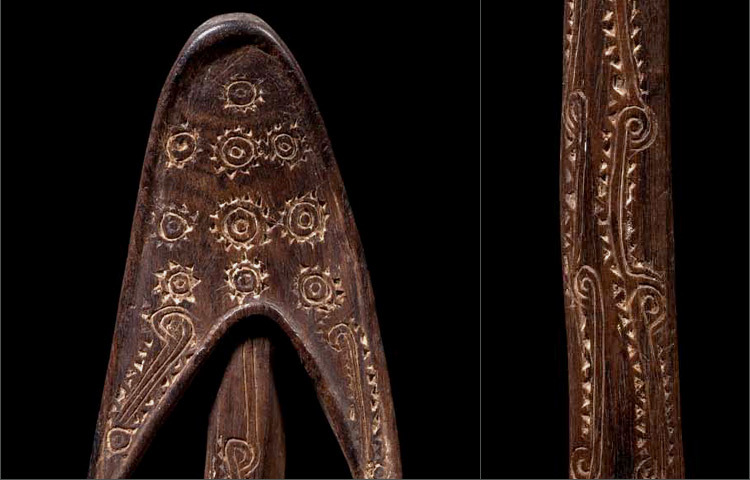 The design is on both sides of the spatula, it consists of repetitive scrolls and curvilinear motifs, along with concentric circles traversing vertically down its center. 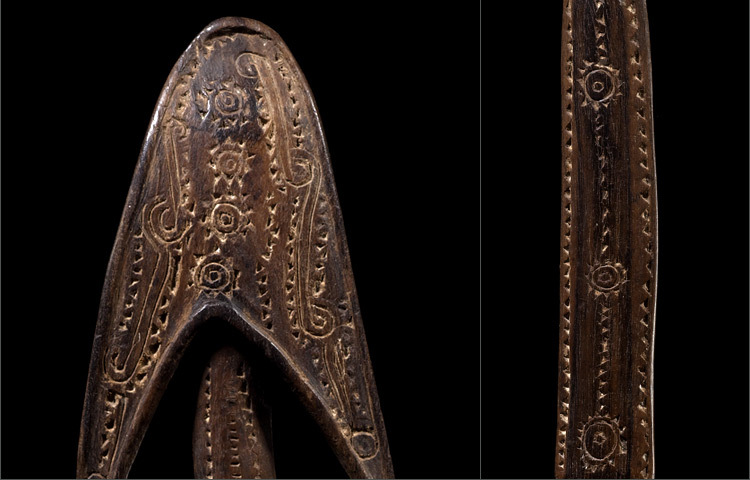 The presence of old lime, filling the groves of the engraved design, enhances its bold design.